One of the many rewards of having a dog is you end up spending time just standing in one place, looking around at the trees, and the plants, while your dog takes care of doggie business. 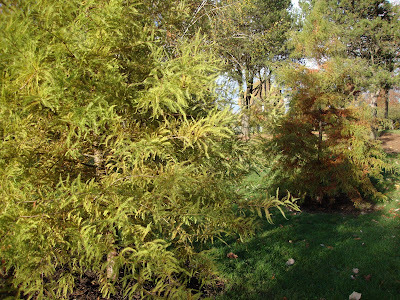 I hadn’t noticed these trees in the park near our home until one day when Lila found something interesting nearby that had to be investigated. 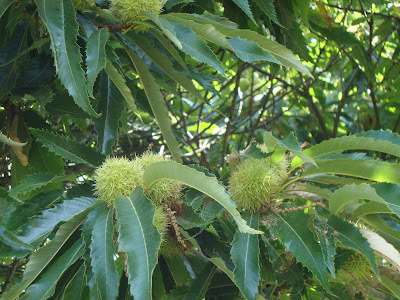 Thanks to nest maker’s mom, Patricia, I found out they’re Spanish Chestnut trees, also known as Sweet Chestnut. 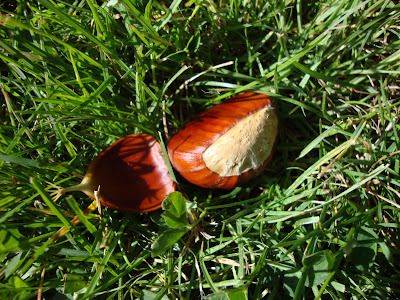 All my life I’ve loved to collect chestnuts in the fall; their colors are so rich and warm. I checked back recently to see what these trees were producing. Cool huh? And they add a little touch of fall at home on the mantle. Or once you’ve accumulated enough they look so pretty in a bowl. 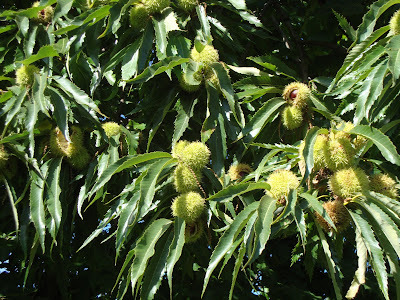 Evidently this is the variety of chestnut that is edible. People have been swarming the park and collecting them as they drop. Have you ever eaten a roasted chestnut? One winter while I was living in Seattle the Four Seasons Hotel hired a roaster at Christmastime to roast them at a cart on the street, and give them away in paper cones. How romantic I thought, how cosmopolitan. How disgusting! Not a taste I ever want to taste again. 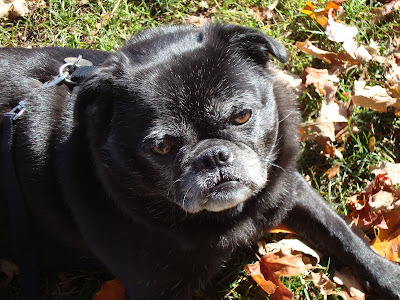 Lila decided if I was going to stand around and take pictures then she’d just go ahead and lie down and enjoy the sun. Smart girl. Back September I posted about a group of trees that caught my eye. 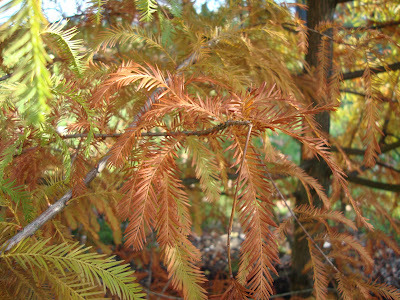 A couple of keen readers identified them as Dawn Redwoods and alerted me to the fact they would take on beautiful color in the fall. 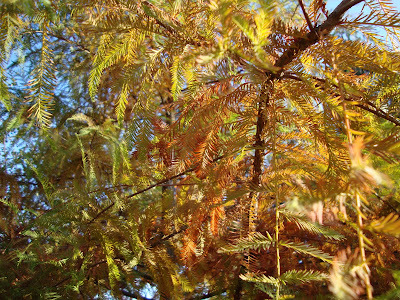 I checked back yesterday and found this… Close up color, but over all still very green. I’ll keep a watch. 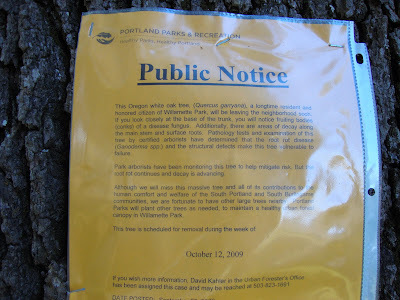 On a tree in the same park as the Redwoods, this sign appeared a couple weeks ago. 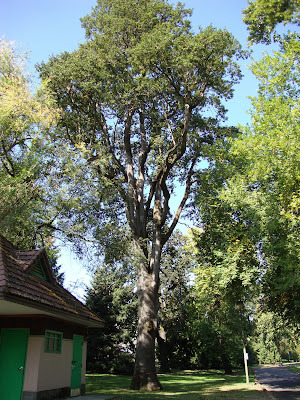 It reads (in part) "This Oregon white oak tree, a longtime resident and honored citizen of Willamette Park, will be leaving the neighborhood soon. 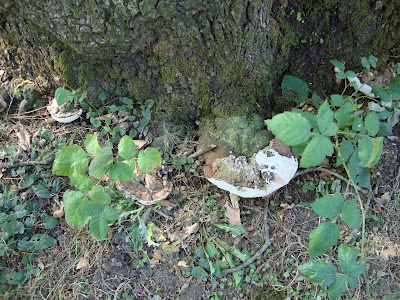 If you look closely at the base of the trunk, you will notice fruiting bodies (conks) of a disease fungus. 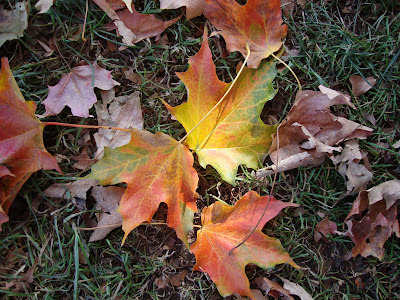 Additionally, there are areas of decay along the main stem and surface roots. 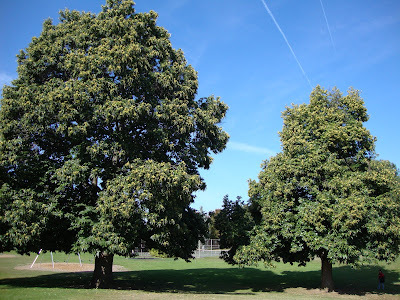 Pathology tests and examination of this tree by certified arborists have determined that the root rot disease and the structural defects make this tree vulnerable to failure.…..This tree is scheduled for removal during the week of October 12, 2009." 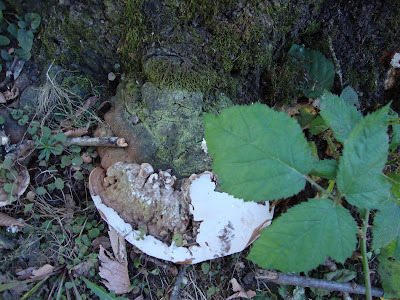 These are the fungal growths referred to. Yuck. Poor tree. It’s was a tall beauty don’t you think? oh. it just breaks my heart when trees have to be taken down. That is just sad! It kind of looks like the poor thing was ill-placed with the canopy squeezed between neighboring trees. ... Lila is a sweetie pie. ... When you mentioned chestnuts I thought that maybe my negative recollection was erroneous. Then your "disgusting" made me laugh. I guess if you've got nothing else to eat, you're starving and you're at death's door, then maybe they might be... tolerable. Maybe. Anon S, I agree, but I did think it was especially considerate of the City to post such a thorough explanation, rather than just cutting it down with no warning. They probably learned about that the hard way, eh? Grace, You too? I thought I was the only looser who hated them. Not that I am calling you a looser! 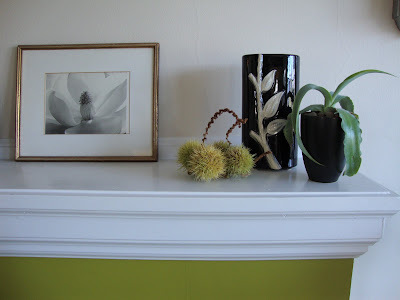 I love the chestnuts on the mantle. I once bought some plastic decorations that looked like that. I wasn't sure what they were supposed to be, but I guess it was chestnuts. Oh those poor oaks. Heartbreaking to lose them to disease. I'm glad they posted the notices. 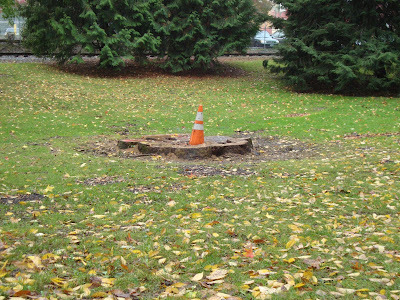 It's always so disconcerting when an old tree is up and cut down with no idea why.